Cooking with Vân : Carving pineapple boats/ curry pineapple fried rice. 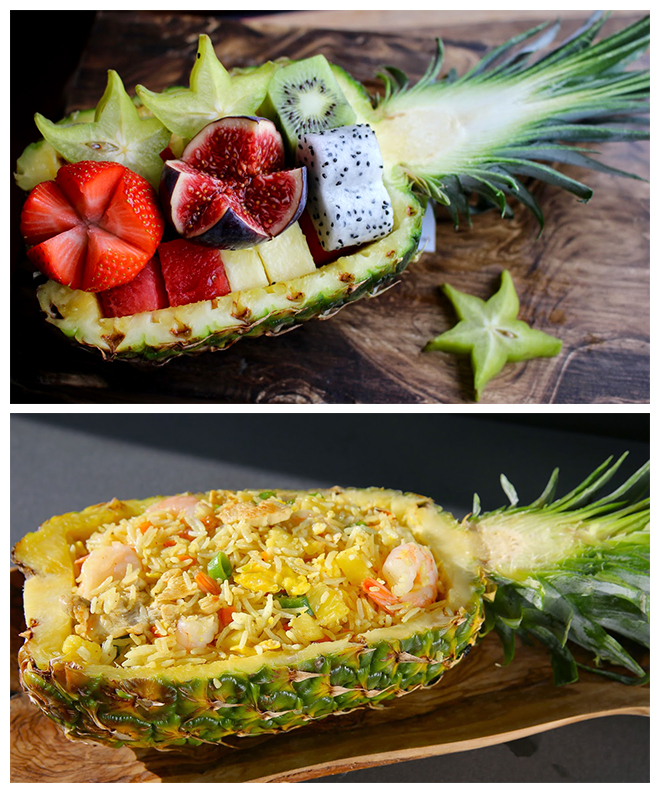 Carving pineapple boats/ curry pineapple fried rice. Pineapple is not only great fruit with so many health benefits, it's also could be used for cooking. This tutorial video will guide you step by step how to carve one. The flesh goes nicely for curry fried rice and the boat looks really nice for decoration, both for the rice or for a salad bowl. It's very easy once you know how to do it.